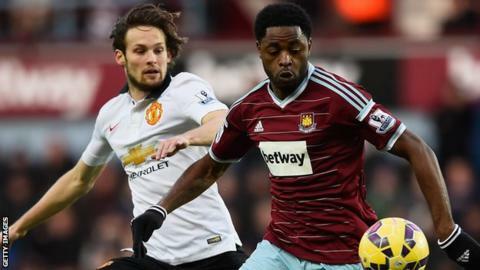 West Ham have agreed a deal to sign Barcelona midfielder Alex Song, subject to a medical. The 27-year-old Cameroon international made 31 appearances for the Hammers during a loan spell last season. Song, who played for Arsenal between 2005 and 2012, will sign a three-year contract if he can prove his fitness. "We just hope the medical shows he's in a sufficient state for us to gamble," West Ham co-owner David Sullivan told the Knees Up Mother Brown Podcast. "He couldn't physically pass a medical tomorrow, but if the medics say it's just a technical thing and he's only a couple of weeks away you'd take that gamble and hope they're right." Sullivan said signing Song on a three-year deal would be a "huge commitment", adding: "He's a big earner."